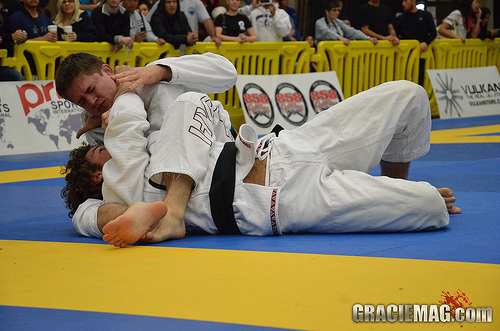 Roger attacks with a kimura but goes straight for the choke. 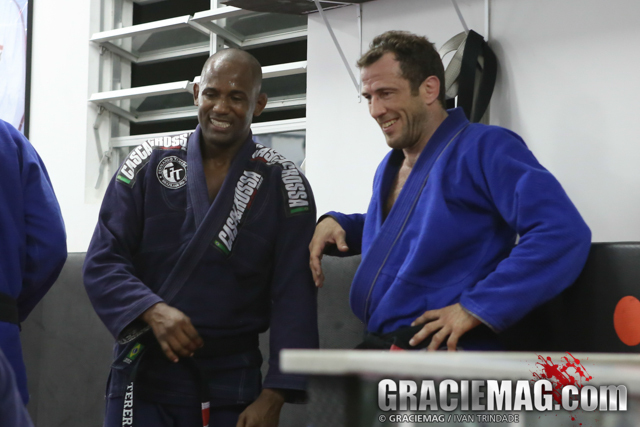 It’s no exaggeration to say that, in BJJ, the options are endless. Basic positions are mixed with bold techniques all the time, and adaptation is the law of the land. 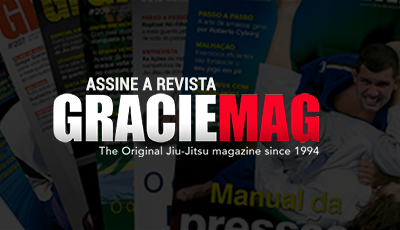 To Roger Gracie, for example, a simple kimura attack can turn into a straight path to a choke. In a lesson produced for our friends over at the Dojjo channel, Roger showed an attack option for when his opponent defends against the kimura. In order not to waste energy, Roger goes from the north–south to his opponent’s back without releasing the grips. From there, he seeks the cross collar, and the hand under his opponent’s arm serves as a lever to conclude the squeeze.